The operator of Mactan-Cebu International Airport (MCIA), GMR Megawide Cebu Airport Corporation, encouraged Negrenses traveling to destinations across Asia to transit through MCIA instead of Ninoy Aquino International Airport in Manila. 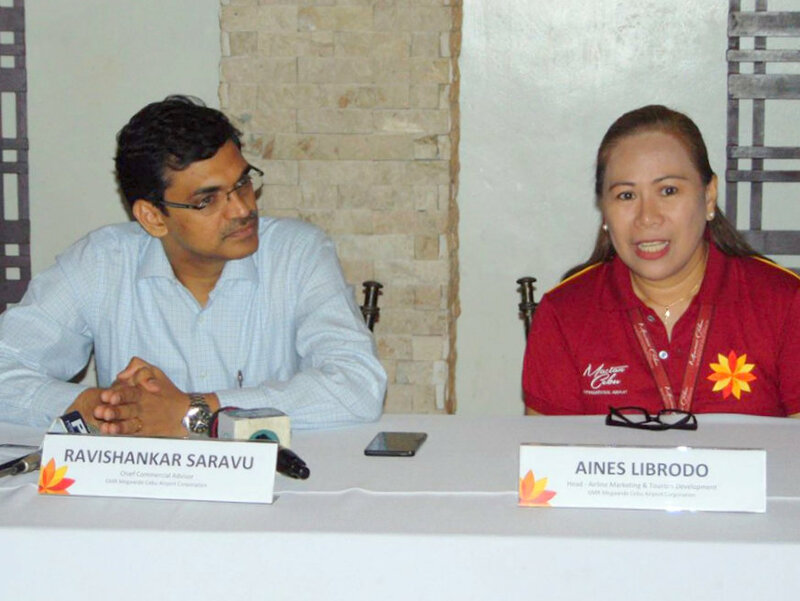 In a press conference yesterday, GMR Megawide Chief Commercial Advisor Ravishankar Saravu said they were in Bacolod City to promote their airport to travel companies in the city. “It is far more cheaper and nearer, and you will not see too [many] delays as there is no congestion at the airport,” he added. The GMR official said they recently expanded commercial traffic with the opening of Terminal 2 last year. He noted, they are now in the process of upgrading Terminal 1. Saravu said once Terminal 1 expansion is completed, MCIA would be able to handle around 16 million passengers a year. He said, at present, MCIA is connected to 26 international destinations and are currently looking to increase that number. In addition, the airport also serves 33 domestic destinations, including Bacolod-Silay Airport and the San Jose Airstrip in Sipalay City. Based on their monitoring, there has been a six to eight percent increase of travelers from Bacolod City using MCIA as a jump off point. Saravu added, MCIA’s traffic is growing at more than 20 percent every year, with an estimated 3.8 million in international passenger traffic.